Disappointment #2: Everyone at the Wilson Center event knew that the topic of the many states who have decriminalized or legalized marijuana to varying degrees in the face of continued federal prohibition would come up. Kerlikowske spoke to the issue early on in his address and was clear that, while recognizing the failings of “war on drugs” policies, he does not believe that legalization is the right approach. That’s legit. There are many and varied thoughts on how to go about changing our approach and not everyone thinks legalization is the way to go. However, his dismissal of state initiatives to legalize marijuana were offensive to the voters of those states as demonstrated by the quote below, taken from the transcript of the event. Kerlikowske basically dismisses the voter initiative to legalize small amounts of marijuana in Washington State (where he served as Seattle’s police chief for many years) as “bizarre” and the voters uninformed. He gives no credence to the 1.7 million Washingtonians who voted for legalization. Personally, I find it frightening that such a high level official is so quick to invalidate what is generally referred to as “the will of the people.” Perhaps I have a distorted vision of how government is supposed to work, but I thought the will of the people was supposed to dictate policy. Lest you think I left the Wilson Center only disappointed by the two issues above, below are a few of the other disappointments I suffered. · They still only see “drugs.” The rest of the world and most Americans understand that each drug is different and deserves different classifications and strategies, especially the jail-filler, marijuana. 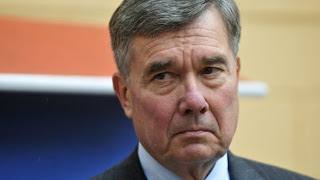 Chris Weigant very astutely pointed out that, in two recently released documents, Kerlikowske fails to even mention the word “marijuana,“ despite the fact that, domestically at least, marijuana policies are the most pressing at the moment. This “drugs are bad, m’kay?” approach is harmful to young people who discount hard drug prevention messages once they realize the government is lying to them about marijuana. · “Use” is still a “problem.” Under prohibition, any drug use is illegal and therefore problematic. Kerlikowske wants to add a public health approach to our current criminal justice approach but is still incapable of allowing a space for recreational drug use that is neither illegal nor abusive. If he really wants a new vocabulary, he should remove the word “control” from his office’s title. The Office of National Drug Policy would work just fine. If he feels that’s too short, he could replace “control” with “regulation” or even ”use prevention.“ As long as Kerlikoske or his successors maintain the illusion of control, a public health strategy won’t look much different than the war we’ve been losing for more than 40 years. Spike is senior research associate for JPI.